Emberwind is one of several new games released by top selling developers Chillingo Ltd (of Cut the Rope fame) over the past few weeks. 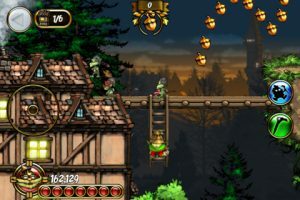 In this side-scrolling adventure game, you play as the gnome, Kindle Elderwood, saving his city from gremlin attack. In grand epic fantasy style, Kindle is an unlikely hero that answers the call and succeeds where others could not. Armed only with his cane of justice and his snow owl sidekick, he fights his way through minion and boss. The environments in Emberwind are truly worthy of an epic fantasy. Gothic castles, snowy tundra, and quaint villages, to name a few, and all beautifully rendered. The moving villains and hero are nicely designed, but look too small on the iPhone screen. The controls respond quickly and smoothly, but they are situated awkwardly, in the middle of the screen. This hinders visibility and makes controlling Kindle difficult. Chillingo online slots did not include options to adjust the controls or a left handed option, unfortunately. 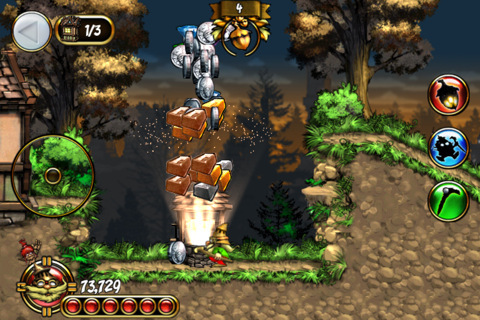 The game play is standard for a side scrolling adventure. 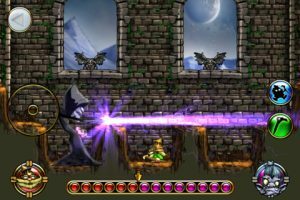 You attack the creatures, pick up coins and continue onward, jumping and climbing over obstacles to reach the door on the right hand of the screen. Kindle begins with a basic attack skill that is upgraded as the game progresses. Emberwind follows an epic fantasy plot which is enjoyable, but again, offers nothing memorable. 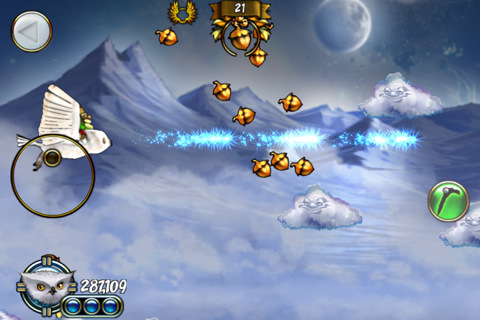 Bottom line: Emberwind will be popular with fans of the side-scrolling RPG. Sadly, it has neither the charm nor the originality to make players yearn to play on. Emberwind™ is compatible with iPhone 3GS, iPhone 4, iPod touch (3rd generation), iPod touch (4th generation), and iPad. Requires iOS 3.2.2 or later.